Actress Kat Graham attends Heidi Klum's 19th Annual Halloween Party at Lavo on October 31, 2018 in New York City. Kat Graham completed her costume with a polka-dot tie. 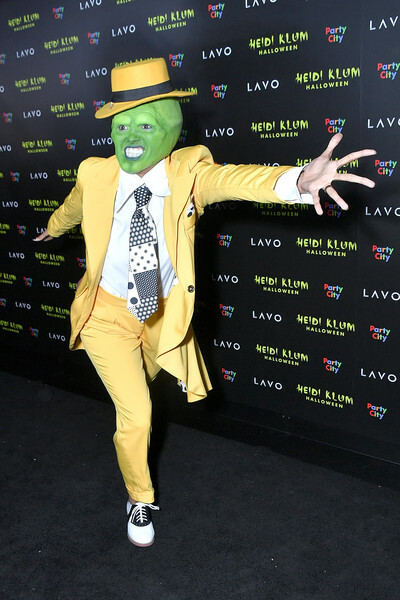 Kat Graham donned a yellow suit to channel Jim Carrey's character from 'The Mask' at Heidi Klum's 19th annual Halloween party. For her footwear, Kat Graham wore a pair of black-and-white oxfords.